Happy hump day! How about a little deal to get you through the second half of the week? 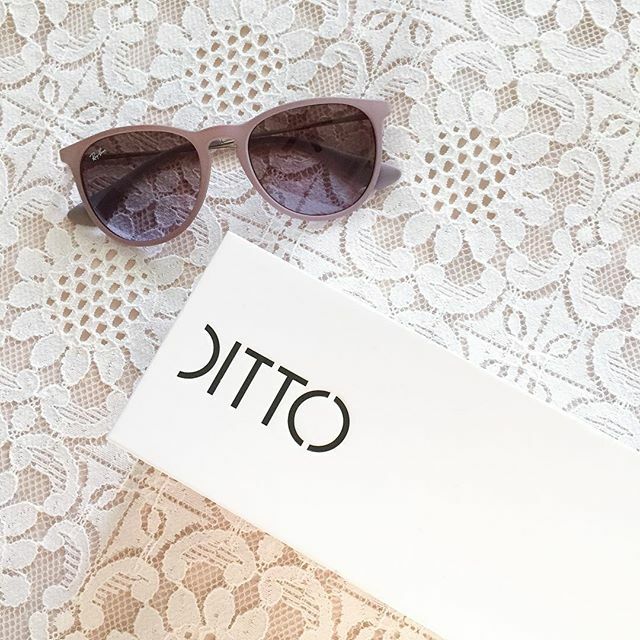 If you love sunglasses as much as I do, this one is for you! I own one too many pair of sunnies, I literally have no room for them in my accessories stash and I always get the "Another pair?!" question from my boyfriend whenever I buy a new pair. I can't help it! With the help of Ditto, he can't question my purchases anymore! 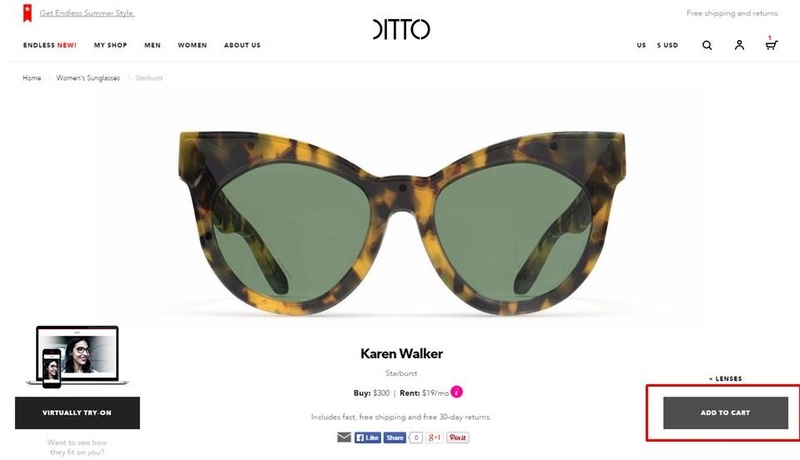 Ditto offers unlimited monthly rental on sunglasses! You read that right, for only $19/month you can rent a pair, use them as long or as little as you'd like, and switch them out for a new pair, as many times as you want each month. 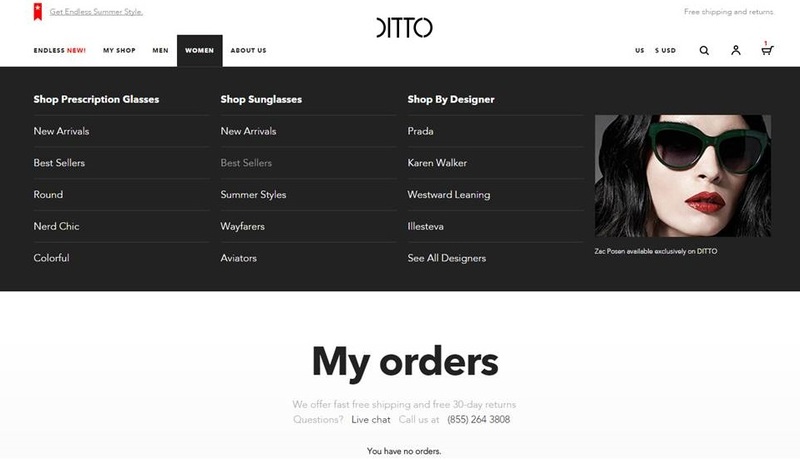 They also offer free shipping and free returns. What I love most is that they offer a GREAT selection. They carry top designers like Karen Walker, Burberry, Prada, Rayban, and more! You can try Ditto for 1 month free using the code STYLISHSENORITA. Give it a test run and let me know how you like it, my first pair are these Rayban pretties which I can't wait to add to an outfit! 1. 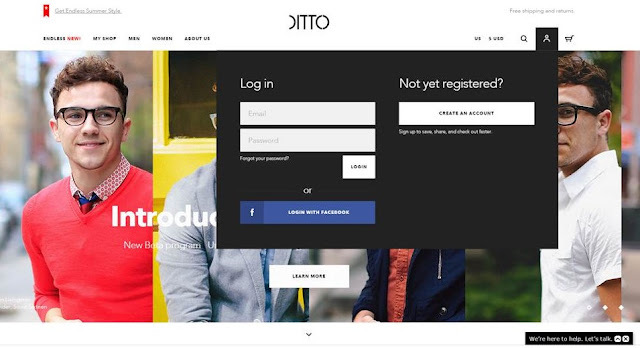 Head to Ditto's website and click on the person icon to login or register. 2. After signing in start shopping for sunglasses, you can browse by style or new arrivals. 3. 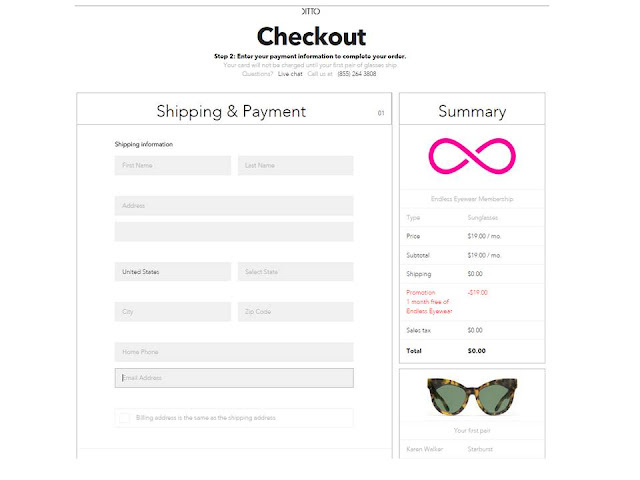 Add the pair you wish to rent to your cart. 4. Select RENT for $19/mo. 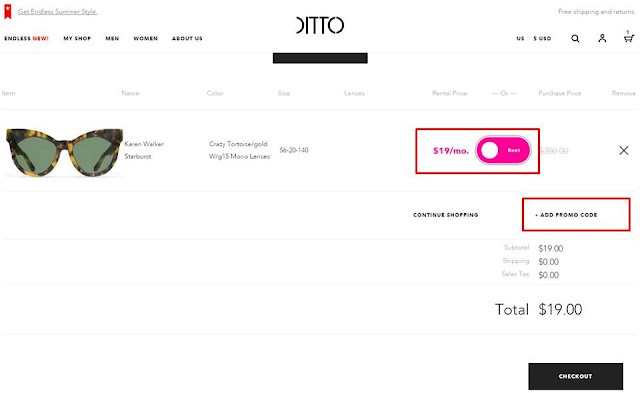 (it will first give you the option to buy, click the circle and it'll slide over to RENT). Then select + ADD PROMO CODE to enter your special code. 5. 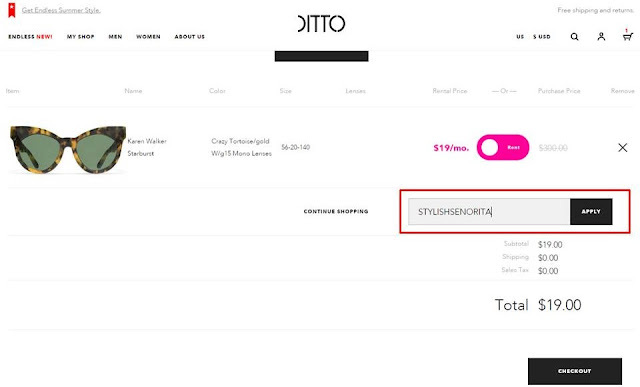 Add the promo code STYLISHSENORITA and apply. 6. Enjoy your first month of unlimited sunglasses rental for free! Switch them out as often as you'd like!